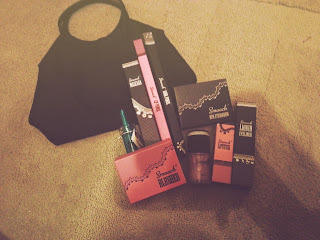 Sunday was a day that I have been looking forward to for over 6 months and I couldn't wait for the day to arrive! It was time for my second year at the clothes show and I was beyond excited and couldn't contain my excitement...we set off early in the morning (7am is a killer!) 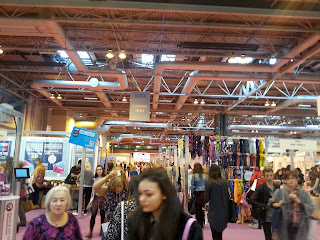 and arrived at 9.30 which isn't bad to spend the whole day shopping and then view the show at the end of day! Here is some of the things that I bought, I won't go into detail as you will be seeing everything over the coarse of the next few weeks and the rest of blogmas may feature a few of these products! 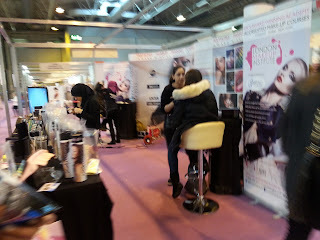 First up..a few pictures from the day! 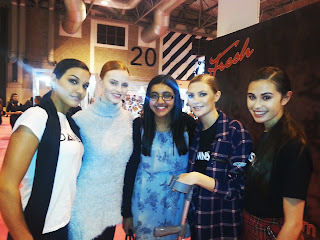 I met some of the Britain and Ireland's Next Top Model Girls who are stunning in real life btw. 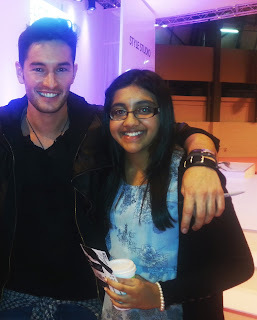 Also met the gorg and talented singer Scott Innes who basically sang to me! 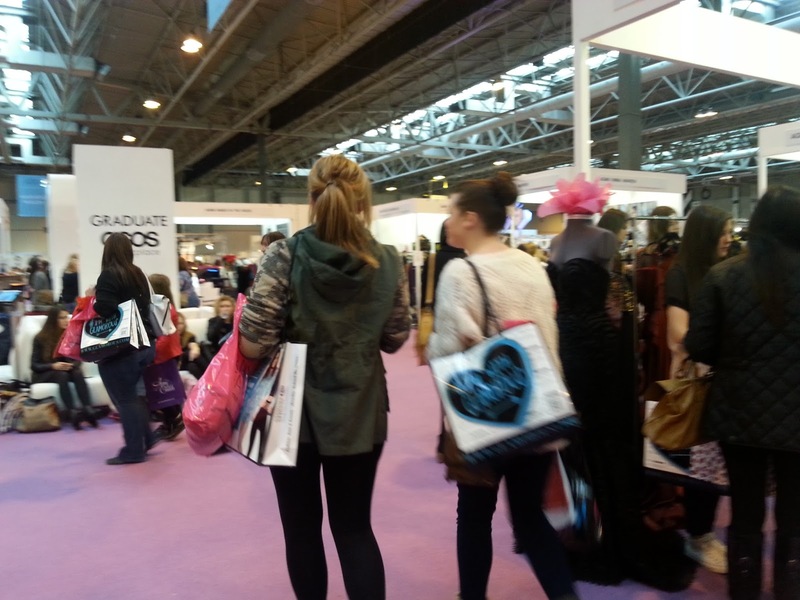 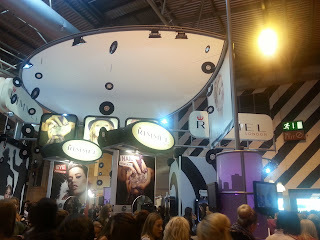 The first stand that we saw as we entered was the Company/Cosmo stand where we could buy a magazine goody bag. 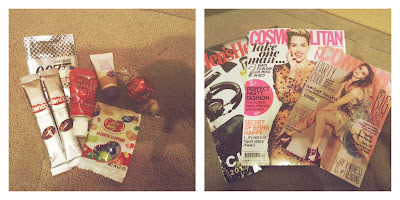 It came with lots of little samples which are pictured on the left as well as the current issue of both magazines that I was going to buy on the way home! 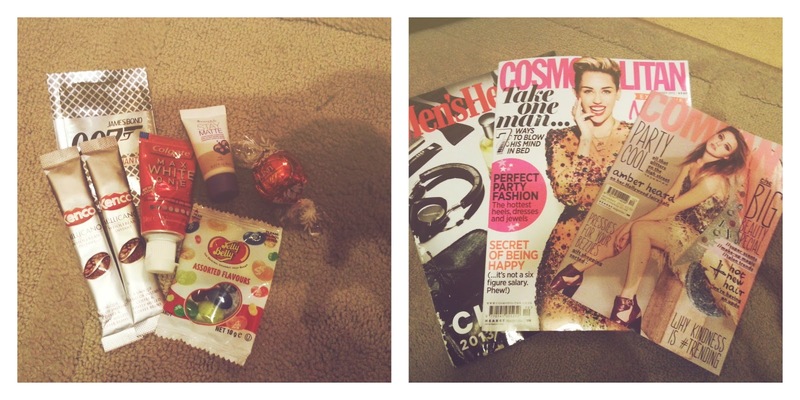 So this saved me a trip to the service stations. Next up was a goody bag that is no stranger to you all as it has been featured on my blog before - SO SUSAN, had four of their newly released products for £5 all of which I love and will be reviewing very soon. Next was a stand that I didn't even know would be there, W7 who also have the sister brand Smooch which I have previously reviewed not that long ago on the blog. 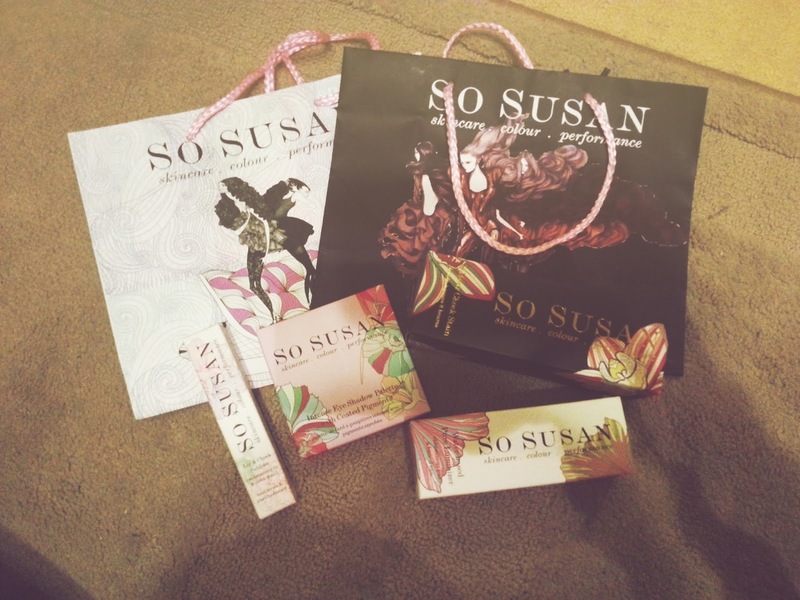 The £10 goody bag was filled with goodies from Smooch that are truly amazing and I can't wait to use them all! 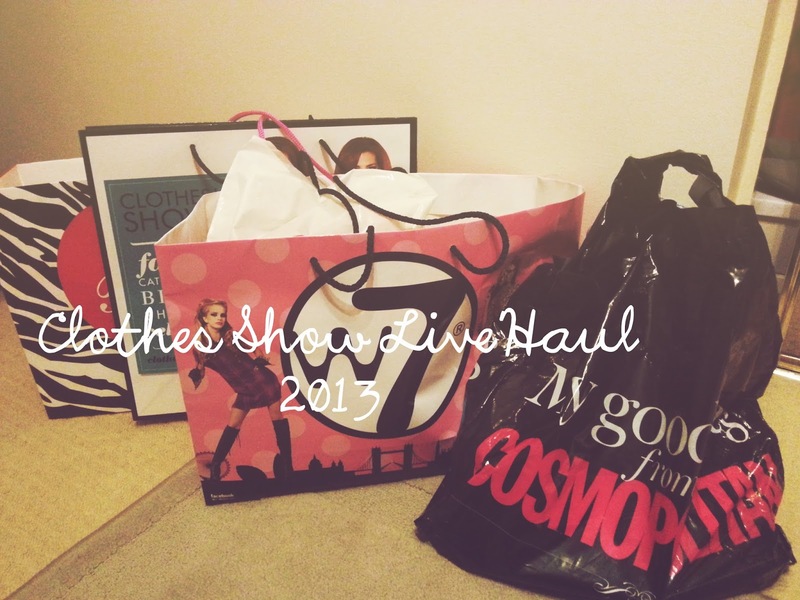 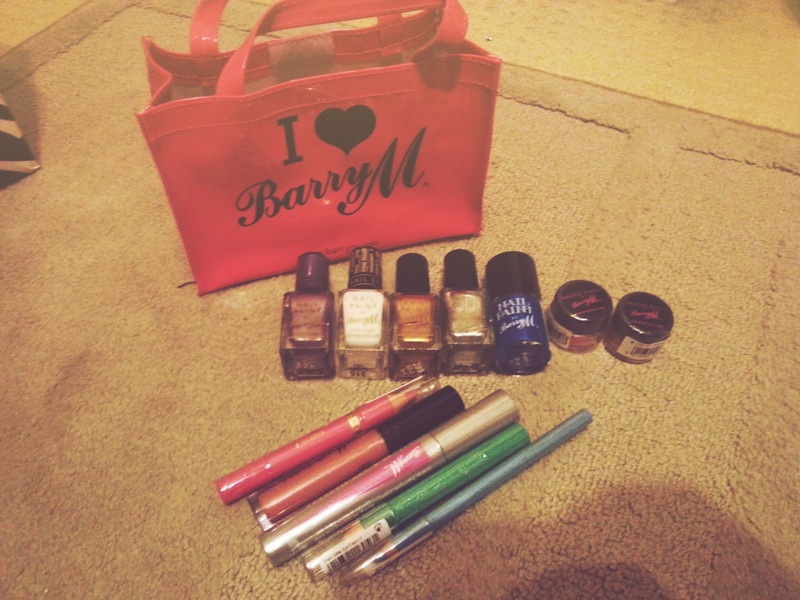 Of course you can't leave the clothes show without visiting BarryM and they had a bag packed with treats from Nails to Eyes and some lip products as well!